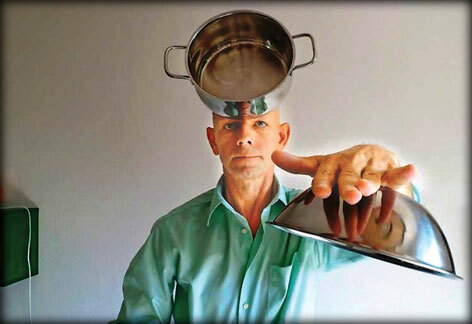 Fifty five year old German national, Miroslaw Magola turns his body into a magnet. With the help of his brain power he is able to manipulate objects and stick them to his body. He defies gravity, moving heavy items from the floor to his body and then creates a force to keep them there. Magola is a man with an unusual gift; he can lift objects off the floor, transport them through the air and force them to stick to his body - all using the power of his mind. Claiming that his body is just like a living magnet, Magola says: "I found out I could train myself to manipulate lifeless objects as I studied for my degree in the early '90s," Magola said. "I have since spent years perfecting the technique and exploring further into human magnetism. "I can defy gravity because I load myself with energy and - like moving a limb - can make objects do as I wish, like a real-life magnet. "I am determined to develop my unique powers further in the future, and I'm currently working with telepathy and healing to see how psychokinetic energy can be put to a use that will benefit mankind." Although he has undergone numerous tests, Miroslaw's strange talent, which he puts down to psycho kinesics, still remains unexplained by conventional science. The most amazing part of Miroslaw's powers is that he appears to be able to control and develop them by constant practice and research. Magola's powers may seem like something out of a comic book, with many people struggling to comprehend his abilities - others flatly refuse to believe him. But the father-of-one refuses to be branded a 'fake' or 'cheater', revealing that his superpowers could potentially be mastered be everyone. One of Magola's main goals is to scoop a $1million prize - unclaimed for five decades - set for anyone who can prove they have supernatural powers. The One Million Dollar Paranormal Challenge was launched by famed magician and sceptic James Randi in 1964 for anyone who can show evidence of faith-healing, telepaths, psionics, dowsing, precognitive psychic friends with astral bodies, past life remembrance, or spectral manifestations of any kind. When you are young its normal to do something daring! Maybe for the thrill of it all. It may be one of the reasons why a sixteen-year-old girl from Texas agreed to the sky jump from a height of 3000 ft. But the thrill and the experience ended up in horror! Makenzie Wethington did the sky jump but unfortunately the parachute did not open at the correct moment. The result was a free fall to death. But fortunately she survived with only multiple injuries including her liver, pelvis lumber spine in her lower back, shoulder blade and several broken ribs. "I don't know the particulars of the accident, as I wasn't there. 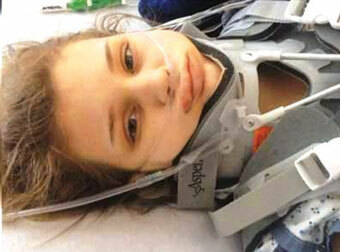 But if she truly fell 3,000 feet, I have no idea how she survived," the surgeon from Oklahoma said. The teenager's parents had allowed her to take the jump but father Joe has now said the skydiving company should not have allowed it. The company involved has defended its decision, saying the father went up with his daughter and was the first to jump. Robert Swainson, instructor and owner of the company involved, said Makenzie's parachute had opened as it should have done but she began to spiral downward when the chute went up but not out. He said skydivers were given instruction during a six-to-seven-hour training session on how to deal with such problems. Makenzie is expected to leave the intensive care unit soon, the surgeon said. Can you believe that "Witch hunts" still prevail in the twenty first century? In history books we have read about witches being captured and burnt at the stake in western countries. Chuttney Mahato was attacked after mysterious deaths in her village - she now helps fellow victims. But in rural India especially in tribal areas witch hunt, although illegal, are still reported. Stories of women beaten, poisoned, paraded naked or forced to eat human excreta are disturbingly common in remote Indian villages. Sometimes these witch hunts deliberately target widows or women with property in an attempt to take advantage of them, but other times they are rooted in the religious beliefs. Illness, poor harvest or just plain bad luck can sometimes mean only one thing: a curse in the family. In such situations villagers often consult an ohja or a witch doctor who they believe has the power to undo evil spells and identify those who supposedly placed the curse. 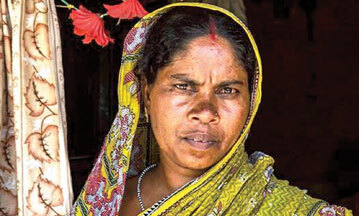 Sixteen years ago, Chhutney Mohato was stripped naked, beaten and nearly killed after she was accused of being a witch in her village in Eastern Jharkhand state. She was forced to leave her home and abandoned all that she owned. But Ramani, another woman living in a slum hamlet in the same state was not so lucky. After her husband's death from a mysterious disease she lived with her mother and her 10-year-old child Sona in a one-room hut. One night in January, Ramani and Sona were fast asleep when two neighbours broke down the front door and dragged Ramani out of her bed. Later Ramani's mutilated body had been dumped on the nearby rail tracks. Her death was the result of being branded a witch. Police in Jharkhand receive around five reports a month of women denounced as witches, but nationally the figure is believed to run to thousands. Today Chhutney Mohato runs a small organisation in eastern India that helps women who have been lucky enough to survive the fate similar to hers. But most of those accused of witchcraft, however, are less fortunate, they are commonly killed by mobs of villagers. Can survivors of witch hunts in India change traditional beliefs to stop this brutal practice?